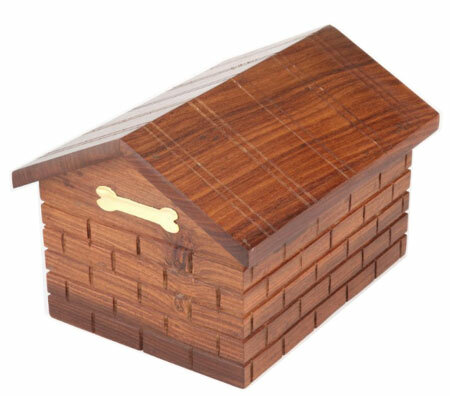 The Kenilworth wooden dog urn is a high quality solid wood urn or pet memory box in the shape of a dog kennel. 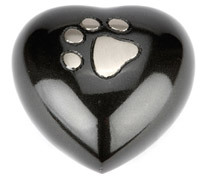 Totally unique and a really beautiful place to keep treasured items, keepsakes or pet cremation ashes. 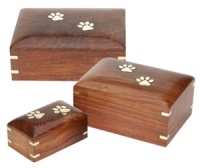 This wonderful urn is a high quality solid wooden dog urn or pet memory box in the shape of a cute dog kennel with brass bone plaque. 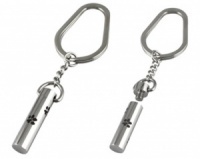 It has been handmade using the best quality rosewood. 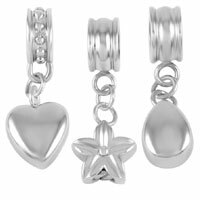 The beauty of both materials used together results in a truly stunning piece to treasure. 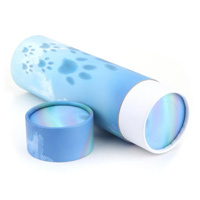 The pet ashes or keepsakes can be safely placed in the dog kennel via a secure bottom opening. 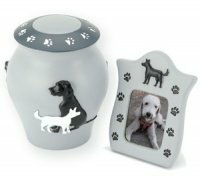 Capacity: 140 cubic inches - suitable for ashes remains of a pet body weight approx 140 lbs or 65kg (suitable for most large dogs).